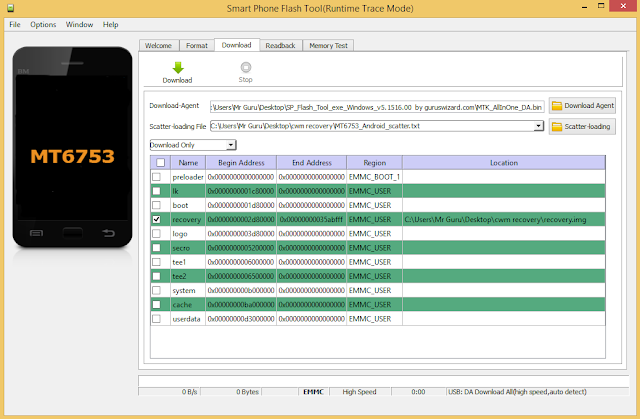 SP flash tool is the best android flash tool for flashing custom ROMS, stock ROMS, stock recovery files, firmware files, boot animation files, dumped OTA files and many other flash-able files through the help of a computer. The flash tools requires the scattered file of any flash-able file you’d wish to download on your android device, and once that’s available, then you’re good to go however, this flash tool can only be useful on MediaTek android devices. Any other chipset outside the MediaTek chipset device, then it won’t work on such device, as the SP flash tool is designed to flash files on just MTK android devices. To make use of MTK on your computer, you’ve to make sure that you’ve successfully installed VCOM drivers on your computer, so that the tool will easily detect your MediaTek device. I already published guide on how to install VCOM drivers here. Today, I’ll be providing you guys with the download links to all the versions of SP Flash tools available… links provided below. So, you can download any of the versions… they’ll work fine. If you got any problem on using the tool, please do let me know via comment section.